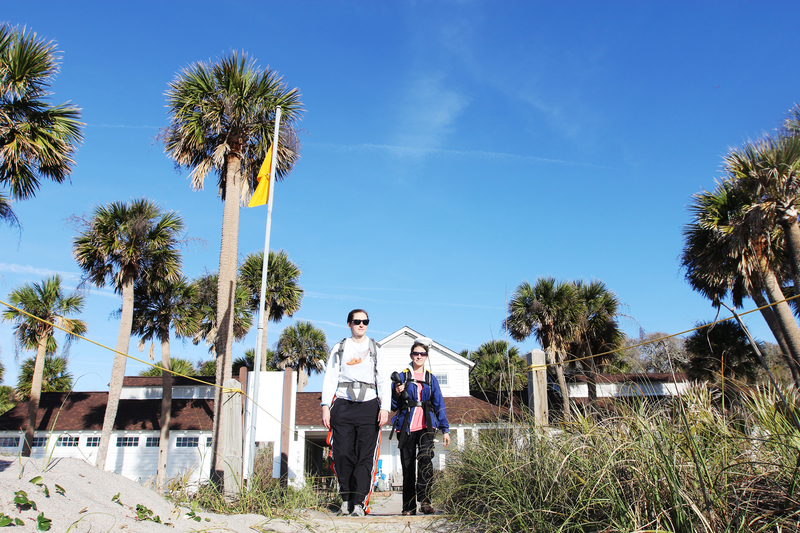 How does a beach recover after a hurricane? What are the outcomes of natural processes versus man-made interventions? These are some of the questions posed by Elsemarie deVries, a PhD student in the UNC Coastal Environmental Change Lab. Using a variety of approaches, deVries investigates the interactions between different dune-building processes. Now she is taking her expertise to a South Carolina beach recovering from the effects of Hurricane Matthew. deVries obtains an aerial survey by flying a kite with a camera attached to it. The camera takes approximately 200 to 400 photos that are then stitched together with software to create a topographic model of the area. 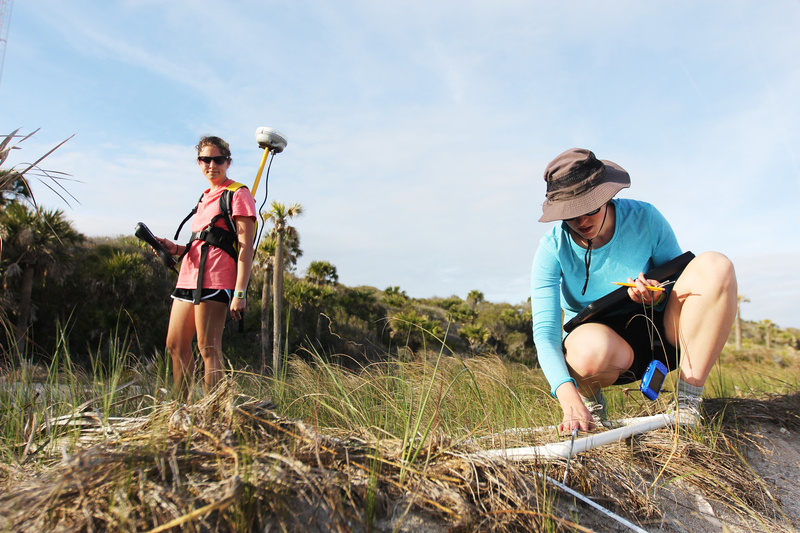 “You can measure changes in dune volume alongshore, not just in one line,” she says. 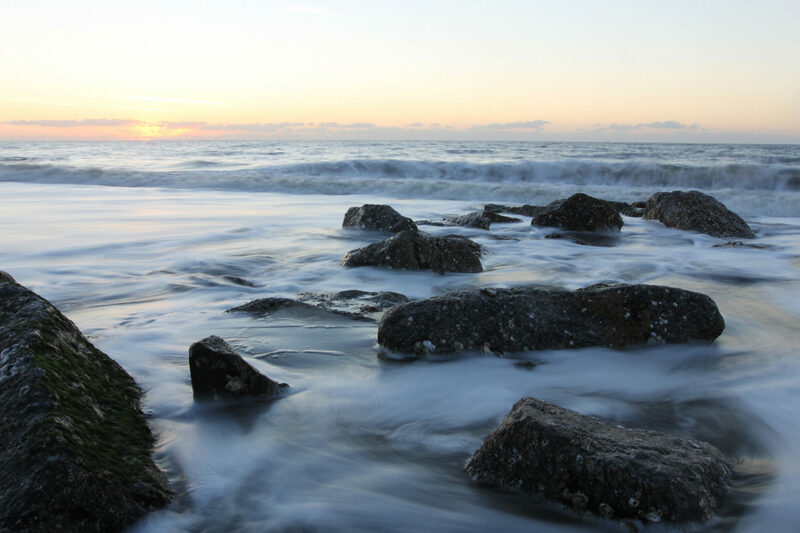 The tide recedes just before the sun rises at Edisto Beach in South Carolina, about 50 miles south of Charleston. 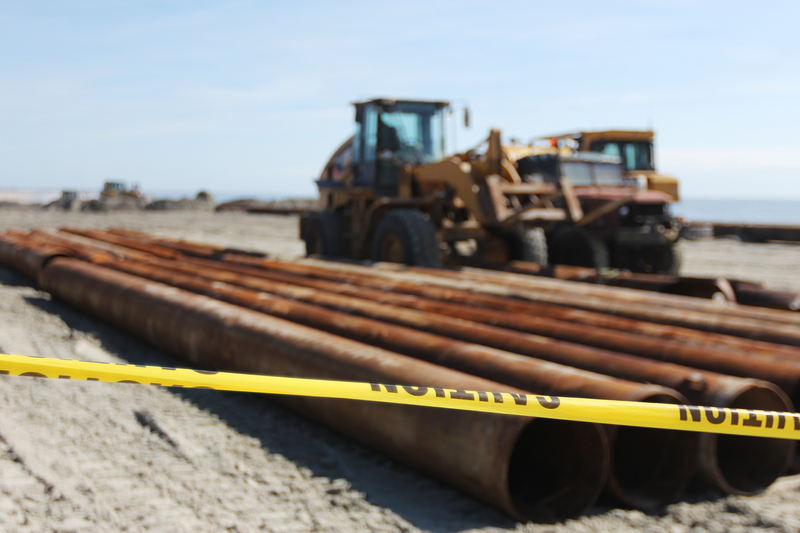 The Edisto Beach management plan includes the installation of groins (pictured here), which are shore-perpendicular man-made structures that trap sand from along-shore currents. Groins along the beach allow for more sand accumulation on the up-current side of the rocks. 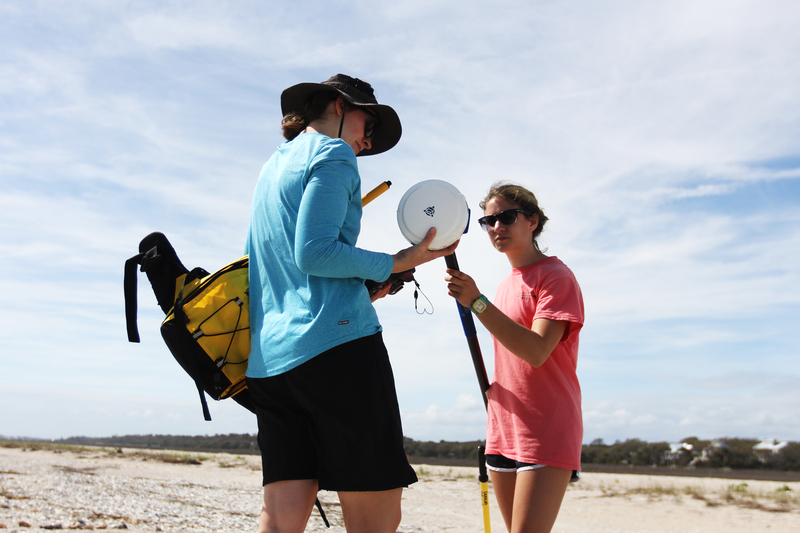 Elsemarie deVries, a PhD student in the UNC Department of Geological Sciences, and Anna Atencio, an undergraduatein the same department, walk onto Edisto Beach shortly after the state park opens at 8 a.m.
deVries and Atencio will spend the day collecting baseline data of the beach. 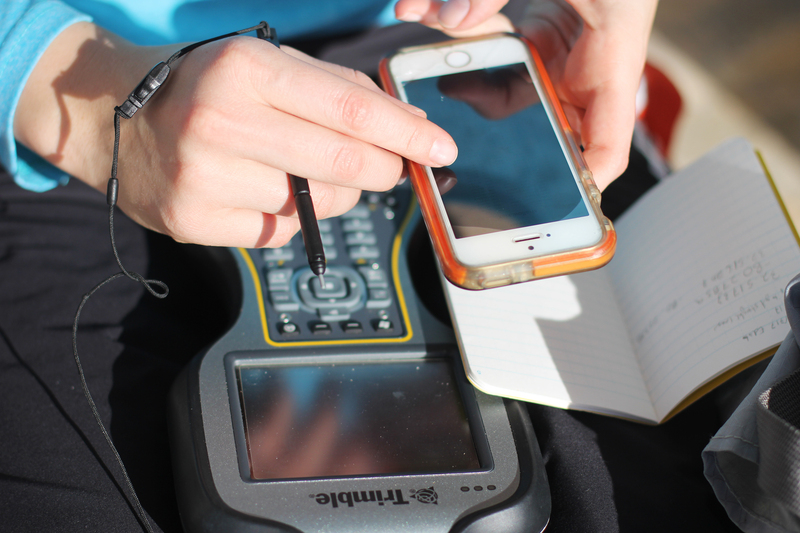 deVries uses her phone to troubleshoot a data entry issue on her Trimble. deVries and Atencio attach the GPS to a pole that is exactly two meters long, which will record a more precise GPS measurement. 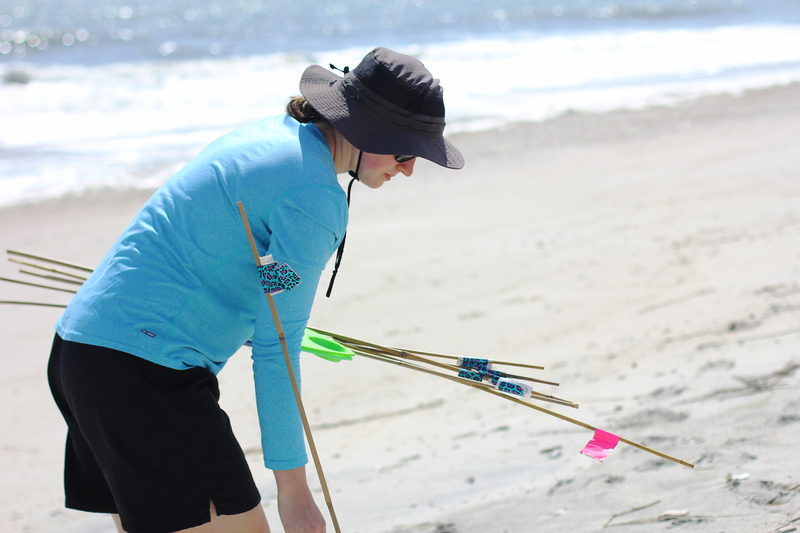 deVries sets up bamboo stakes as ground control points for her kite photos. 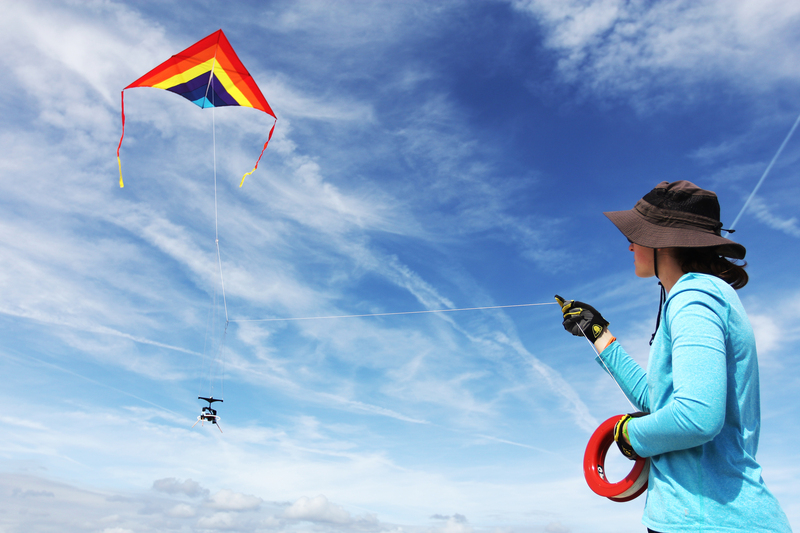 “When we take photos from the kite, we measure these points very precisely with the GPS gear so that when we create our digital elevation model, these points tie it down to the reference datum,” she says. 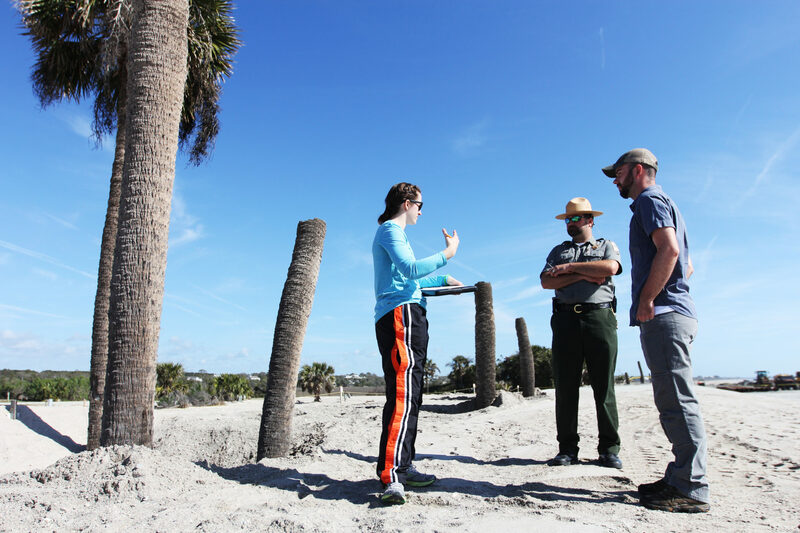 deVries chats with Jon Greider, the park manager for Edisto Beach State Park, and Joe Lemeris, senior biologist for South Carolina State Parks. “It’s the perfect experimental set-up because there’s a natural area that isn’t being developed, and then there’s an area in front of a campground where they are building dunes,” deVries says. Beach nourishment creates a wider beach by pumping sand from an inlet or offshore. “It doesn’t slow erosion, but it buys you more time before it erodes back again,” deVries explains. 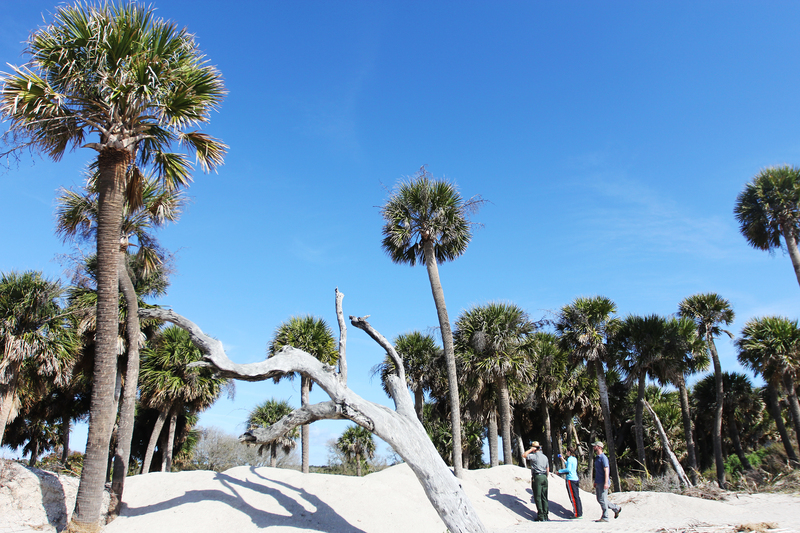 The current nourishment project, which started in February 2017, is the fourth nourishment at Edisto — the last one was in 2006. The nourishment plan creates a more dynamic research area for deVries — half of her research site is nourished and half isn’t. A small sea oat (scientific name uniola paniculata) sprouts out of the sand. 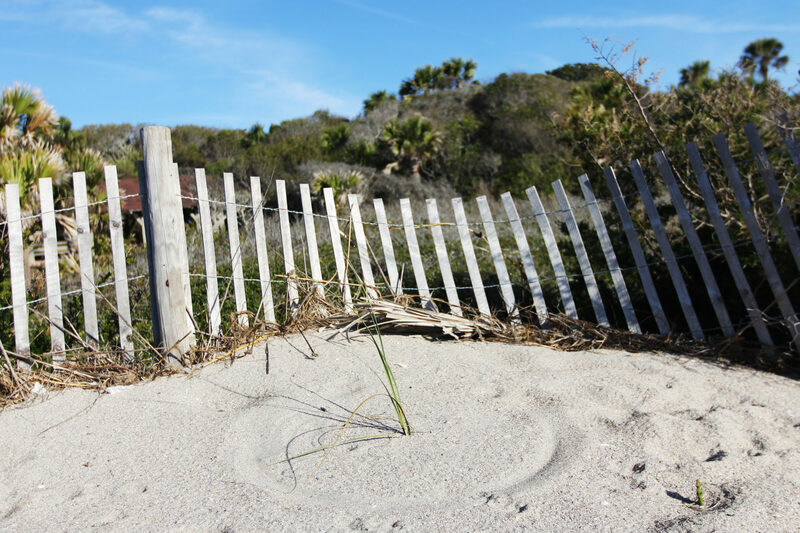 When wind blows sand across a beach, these long, resilient grasses trap it, allowing dunes to form. Before Atencio walks along cross-shore transects — sections of land from the dunes to the water line — to collect topography data, deVries measures the antenna height of the GPS. 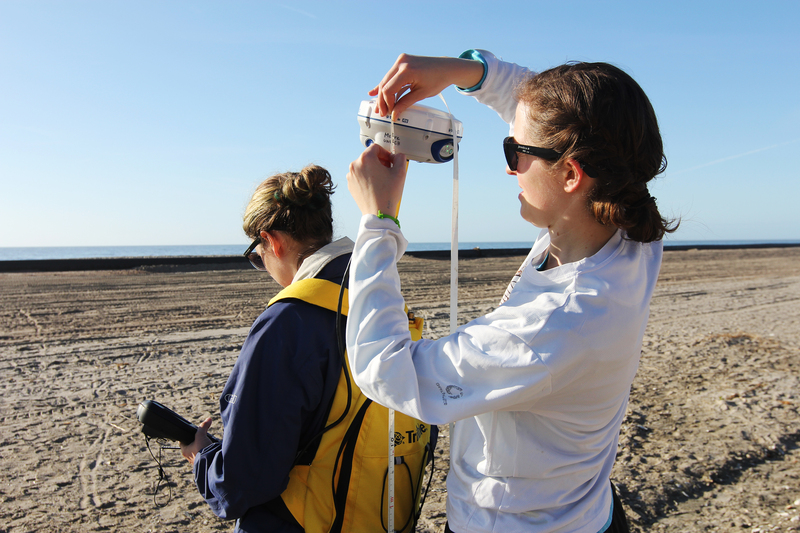 deVries will compare the baseline data Atencio collects today to future transects to see how the beach has changed.